Carnival Passenger Missing in St. Thomas Located; Was She Kidnapped? The cruise passenger reported missing last week after she disembarked from the Carnival Splendor in St. Thomas, U.S. Virgin Islands, has been located. 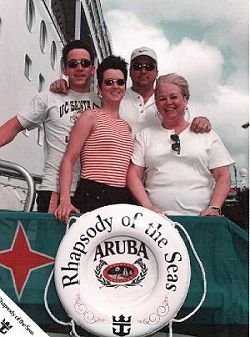 We wrote about the incident – Passenger From Carnival Splendor Missing in St. Thomas, USVI. The mysterious case of cruise passenger Amy Lynn Bradley is again in the news.